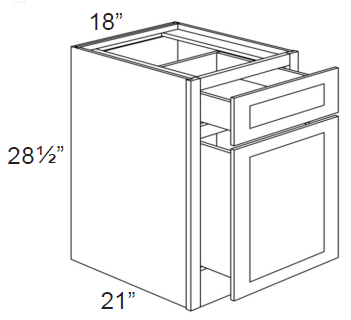 Width 18" Height 28-1/2" Depth 21" Vanity Desk Drawer. This item is trimmable up to 1-1/2" on each side for a total of 3" which allows it to be used in a variety of application without the use of fillers. Drawer box is 30" wide.